It’s time to indulge! Karavalli’s famed Aquafest is back and is going to leave you in raptures till the end of this month. A veritable feast from the sea, Bangalore’s most esteemed dining institution brings to you sublime flavours of the southern coasts. Like every year, the menu is a careful composition of recipes gleaned from homemakers with a deep love for their cuisine, perfected in the rustic kitchens of Karavalli over 26 years. Chef Naren and team have an outstanding menu this November and I for one am always surprised on how they keep pushing the perfection envelope! 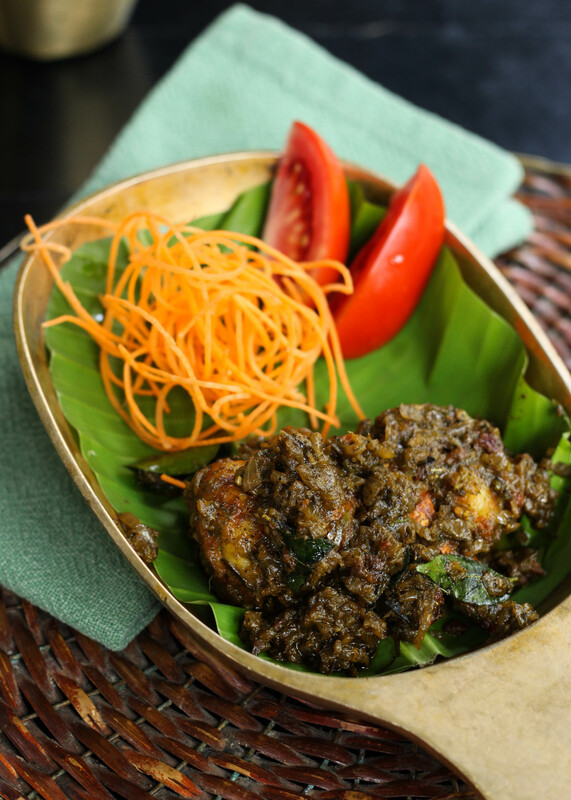 Starting off with a bang – the Bombil Rawa Fry. This is a treat as the Bombil or Bombay Duck is a rarity in Bangalore. Extremely popular in Maharashtra the Bombil is known for it’s buttery white meat. While I’m not a fan of the dried version of the fish, the fresh preparations are mouthwatering. 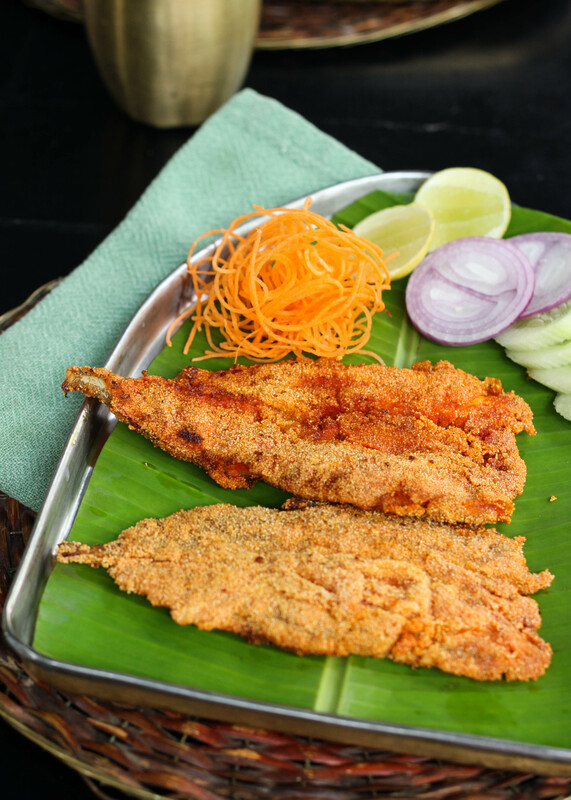 The Karavalli version presented the Bombay duck in a spicy chilli masala, coated with semolina and fried. Lip-smackingly delicious and one of my top picks of the day. Moving down the western coast to Goa – we tried the King Fish Cafreal. Surmai or King Fish is one of my favourite fishes and it lends itself beautifully to steaks and kebabs. The large King fish steaks were coated with the green chili cafreal paste and an onion mixture and pan fried to perfection. The cafreal gets it’s tangy goodness from the Portuguese influence of adding vinegar to their dishes. This was the first time I heard of the Yettida Biscuit Roti. A flaky spiced poori stuffed with minced shrimps, spiced desiccated coconut and semolina. It reminded me of a Shrimp Kachori and that’s a step up from the regular dal filled ones! 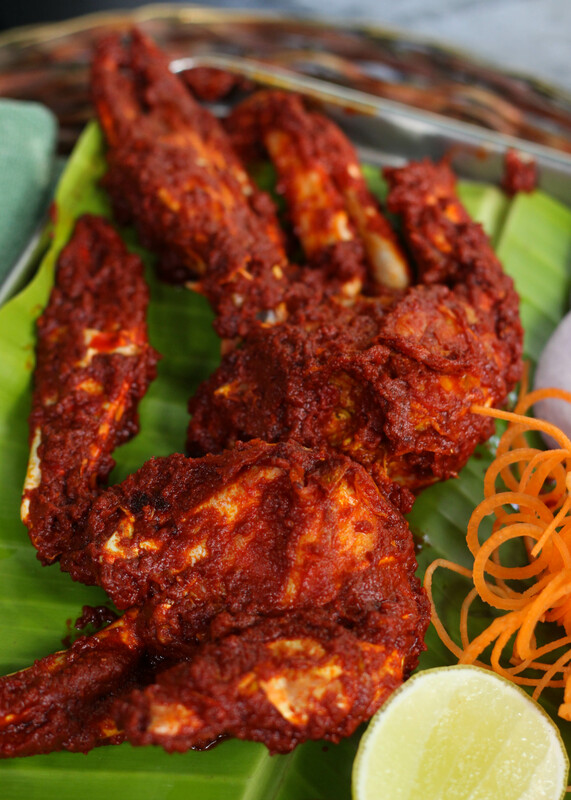 🙂 Another preparation from the Mangalore coast was the Scampi Tawa Fry with the typical fiery red chilli paste. The sweet flesh of the Scampi was a perfect cover for the managlore spices. Just the size of the tiger prawns should make you very happy, but once you’ve tasted the masala, you will be singing paeans. Pan fried with onions and tomatoes, the peppery zing comes from a beautiful curry leaf base. The Karuapila Konju would go wonderfully with some toddy in a Kerala shaap. But we will down a Heineken and comfort ourselves! 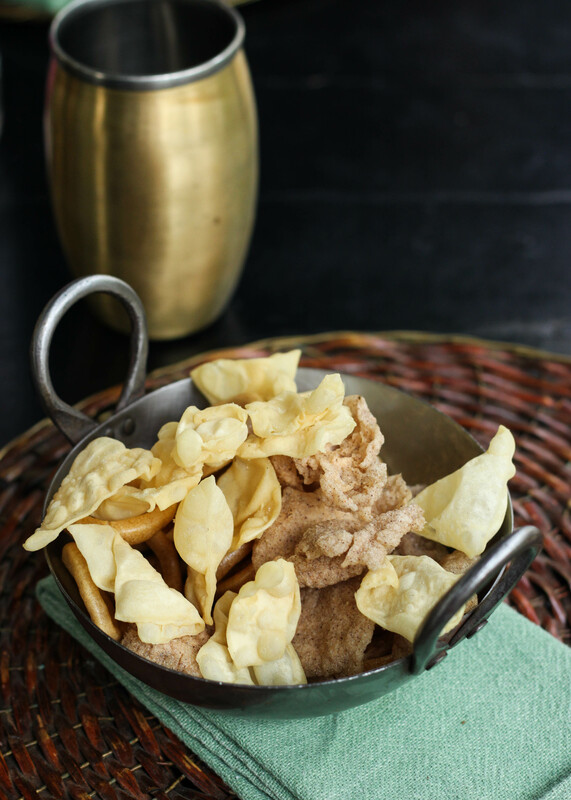 Speaking of beer – the Koondal Varattiyathu makes a brilliant bar snack. Slim squid rings are marinated in a spicy Kerala Masala are deep fried to perfection – all you need is a squeeze of lemon and you are transported to a house boat on the backwaters of Allepey. 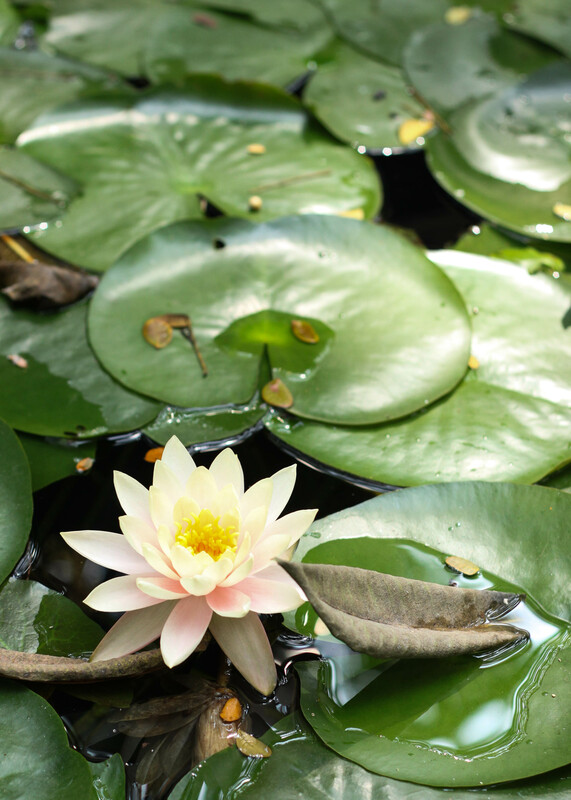 The Ari Kadukka (pictured at the beginning) is also a famed preparation from the backwaters of Kerala. A popular tea time snack, large mussels are stuffed with spiced rice dough and tossed with local spices. Extremely pretty to look at and definitely a must order for anyone who hasn’t had the privilege of experiencing this exquisite dish in Kerala. I obviously saved the best for last and the Neitha Denji deserves all the adulation I am about to bestow on it. Sea Crabs are slowly pan roasted with a Kundapur spice mix and ghee. The resulting fiery silky paste that coats the crab is mindblowing! The succulent sweet Crabmeat begs to be dipped in this hot spice mix and relished. While the Chicken Ghee Roast is the more popular version of this, the crab version is what is going to knock your socks off! My top pick of the menu – if there’s one thing you’re going to order, let it be this. 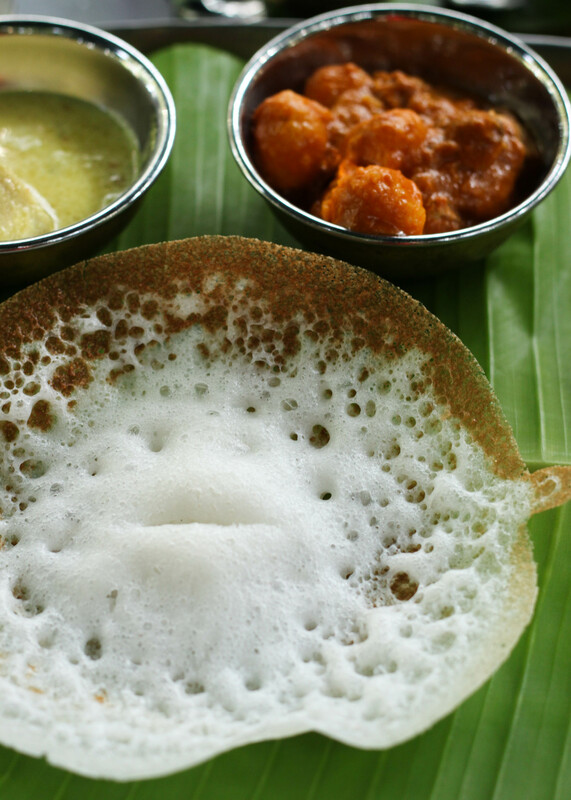 You can eat Appams, Malabar Parathas or Neer Dosas with your main course. 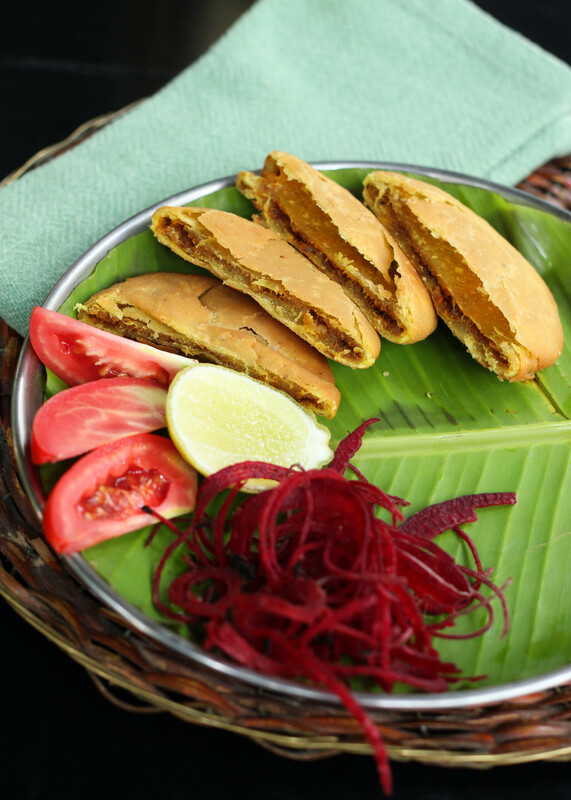 The Meen Moiley is an all-time favourite and serves as a sweet respite from the fiery starters. Coconut milk curry with a mild hit of green chillies, curry leaves and turmeric serves as a perfect foil to freshly made appams. 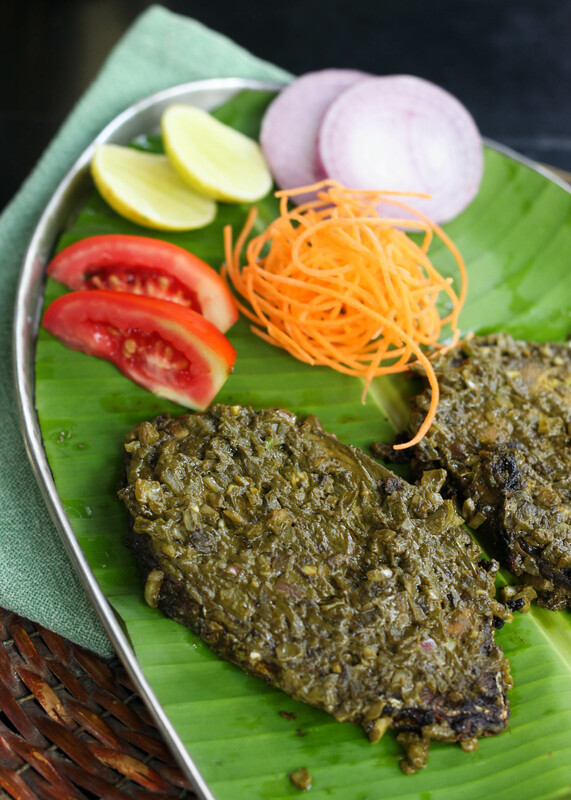 If you want to have a meal in one – the Marwai Pundi ticks all the right boxes. Clams are simmered with rice dumplings in a red chilli and coconut milk curry. Very moreish and very delicious. I think with all the overeating it is a good thing the desserts are healthy. 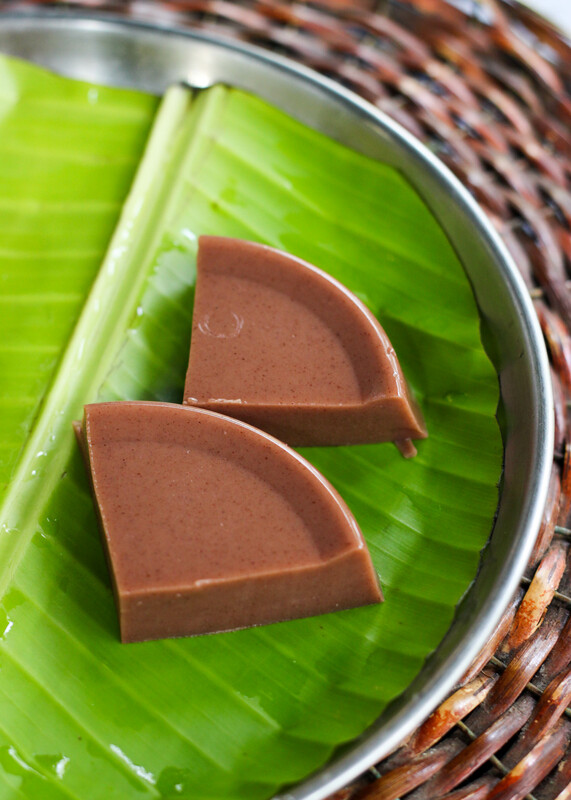 The Raagi Manni – a panacotta like preparation made with foxtail millet, jaggery and coconut milk is a dessert that your nutritionist will approve of! If you don’t care about your nutritionist or if you don’t have one, I definitely recommend the Kashi Halwa – a pumpkin halwa that is a sugar lovers dream. Aquafest 2016 is on for lunch and dinner till the 30th of November and that should give you enough reason to plan more than one outing. I tried only a selection of the Aquafest menu curated by Chef Naren and am raring to go again! If you get overwhelmed by the excellent choices, I hope my little guide will help you navigate this seafood wonderland. Happy Eating folks!